On a cold, overcast day last fall, Jesse Logan and Wally Macfarlane hiked up Packsaddle Peak near Emigrant, Mont., not far from Yellowstone National Park. They had to climb high into the forest, at least 8,500 feet above sea level, to find the trees: tall, majestic whitebark pines, which grow slowly and can live more than a thousand years. A light snow started falling halfway up the mountain, the flakes getting heavier and wetter as they climbed. "You gotta want it to get up in here," said Macfarlane, 46, a researcher from the Department of Watershed Resources at Utah State University. The last time Macfarlane and Logan, 69, a former entomologist with the U.S. Forest Service, hiked this peak, in 2009, they found the trees' normally bright green needles turning shades of yellow and red. Now, just four years later, all the needles had fallen to the ground, and there were few signs of life in the forest. Even covered in fresh snow, which can lend anything a beautiful luster, the dead trees gave the landscape a bleak, post-apocalyptic aspect. 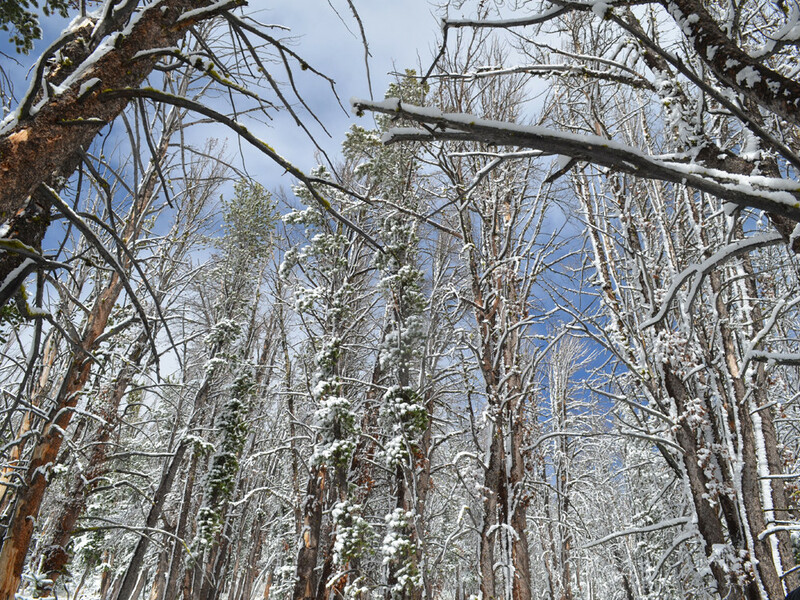 All across the Greater Yellowstone Ecosystem, a 28,000-square-mile area covering parts of Montana, Wyoming and Idaho, a devastating beetle infestation has been killing whitebark pines. The consequences may stretch far beyond the fate of a single species of tree, however. The whitebark pine has been called the linchpin of the high-altitude ecosystem. The trees produce cones that contain pine seeds that feed red squirrels, a bird known as the Clark's nutcracker and, most significantly, grizzly bears -- a symbol of the American West and the current focus of a high-profile conservation battle. In December, a panel of experts from across federal government recommended taking the grizzly bear off of the endangered species list. The U.S. Fish and Wildlife Service is expected to issue its final ruling on the status of the bears in the coming weeks. Successfully bringing the bears back from the brink of extinction would be a huge victory for the agency and for the Endangered Species Act, which celebrated its 40th anniversary in late December. Yet some environmentalists and scientists like Logan and Macfarlane believe the grizzly bears are still in peril, because the whitebark is in peril. They argue that the government has failed to acknowledge the true role that climate change is playing in the pine beetle infestation. High up in the alpine wilderness, they say, a crisis is unfolding -- the denial of which is a stark example of the government's refusal to take the effects of climate change seriously. "You have a bureaucracy that changes slowly, and you have an ecology that is being compressed in time in a way that we've never experienced as humans on this earth," said Logan. "There are a lot of people within the agencies that are well aware and concerned. But there are also those whose response is denial that there's a real critical issue here." Logan retired from the Forest Service in 2006 and moved to Montana with the intention of skiing in the winter and fly fishing in the summer. 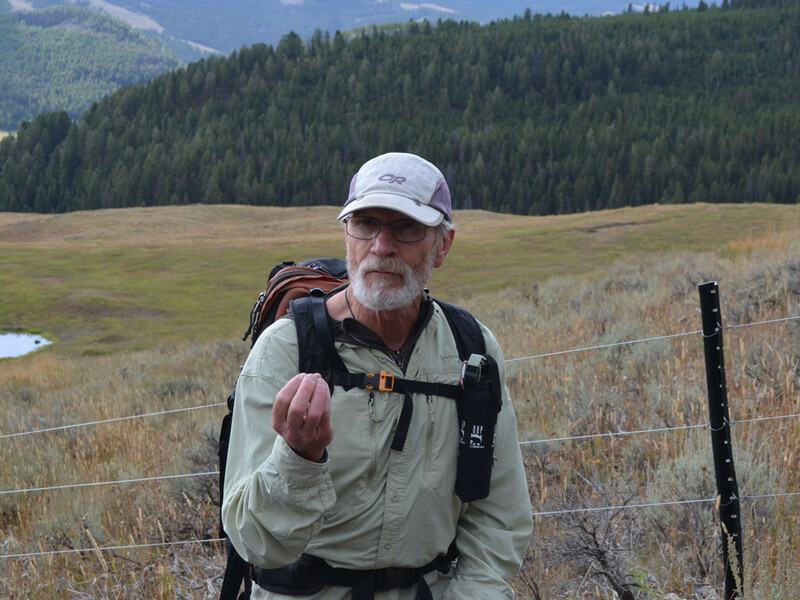 He'd spent his last few years with the Forest Service as a project leader for the agency's mountain pine beetle work out of the Logan, Utah, station. But instead of a peaceful retirement, he has found himself spending most of his time defending the trees he has come to love, hiking out to the far reaches of the forest to document the beetle infestation. He and Macfarlane began working together in 2004 after meeting at a conference of U.S. and Canadian researchers studying bark beetles. It was at that conference, Macfarlane says, that they first realized they were dealing with "the largest insect outbreak in recorded history." A local news story referred to them as the "whitebark warriors," a moniker that has stuck. "Once you get into whitebark, it gets under your skin," Logan explained. "It was just the ecology and the drama, and everything that's associated with it in Yellowstone. I just couldn't walk away from it." Because they grow at high elevations, whitebark pine trees historically did not have to deal with infestations of mountain pine beetles. Cold snaps, with temperatures sometimes plunging 30 to 40 degrees below zero, had been enough to keep beetle populations in check. Not anymore. Global temperatures are an average of 1 degree Fahrenheit higher than the 20th century norm, and the situation in the Greater Yellowstone Ecosystem is even more alarming, with temperatures 1.4 degrees higher than last century's average. As temperatures have risen, the beetles have moved farther north and to higher elevations. Recent studies have also found that the warmer temperatures appear to be speeding up the beetles' reproductive cycle, meaning there are many more of them than there used to be. The whitebark pine trees, despite being able to stand up to the harsh alpine conditions, are nearly defenseless against the invaders. "Whitebark is one hell of a survivor," Logan said, "but it's not a competitor." Logan began looking at the impact rising temperatures might have on whitebark pines back in the late 1990s, when he was still with the Forest Service. "Before any of this started, we were saying this could happen unbelievably fast," he said. "But I was thinking this is something maybe my grandchildren will see, maybe my children. I'm not going to see it." In 2003, however, his prediction started coming true. Throughout the region, whitebark forests began showing signs of infestation: first patches of trees with yellowing needles, then spots of red, dying trees. Within a few years, some whitebark forests were a sea of red. By 2009, according to Logan and Macfarlane, 95 percent of the whitebark forests in the Yellowstone region showed signs of infestation. A deep cold snap that year beat back the beetle population, however, at least temporarily. According to the federal government's scientists, the beetle problem peaked then and has been on the decline ever since. But Logan and Macfarlane say the feds aren't seeing what they're seeing. Over the summer and early fall of 2013, they partnered with the environmental groups Union of Concerned Scientists and Clean Air Cool Planet to send several young researchers deep into the whitebark forests to document the trees' status. Some of the areas they surveyed were a three-day hike off forest roads. They didn't find the shocking sea of red like they had during the outbreak of the previous decade, but they did find many trees facing new beetle attacks. Fifty-two percent of the plots included trees that beetles had killed, nearly half of those from infestations within the last 30 months. 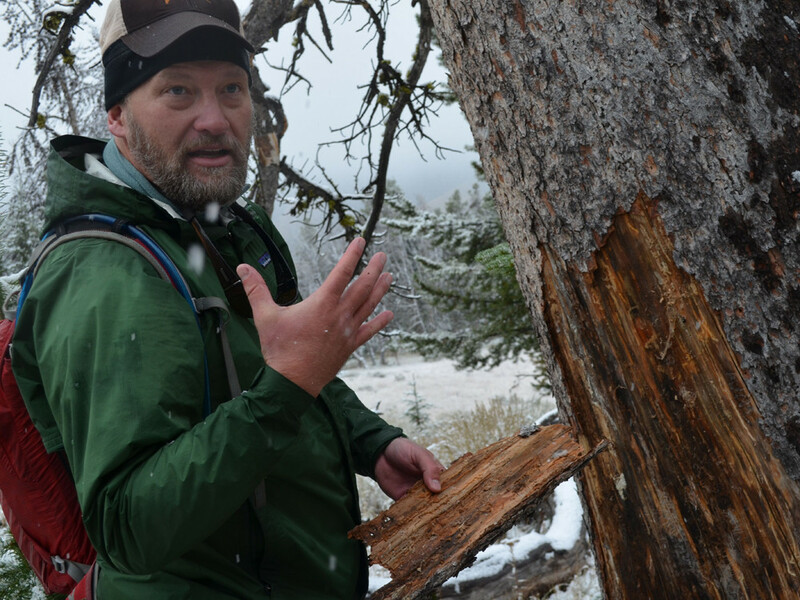 "What they were able to document is, rather than this major outbreak that was easy to document, there's been this insidious, chronic mortality, that, if you add it up over time, is no less threatening to the whitebark," said Logan. "But it's not as obvious because you don't have the sea of red forest." This, said Logan, is evidence of a long, slow, climate-fueled mortality for the whitebark. That's an issue bigger than a few trees. It's one factor under consideration as the Fish and Wildlife Service decides whether to remove protections for the grizzly bears of the Greater Yellowstone Ecosystem under the Endangered Species Act -- protections that have been in place since 1975. Studies have found that the high-fat, protein-rich pine seeds are beneficial to bears in a number of ways. If the bears can eat the pine seeds, for example, they are less likely to go foraging for other food, a search that can increase the likelihood that they will encounter humans and be killed. Other studies have found that female bears with access to whitebark pine seeds give birth to more cubs. The Fish and Wildlife Service attempted to remove the "threatened" designation for the bears in 2007, after finding that populations in the region had recovered to the point that they no longer needed special protections. Delisting the grizzly would mean states, rather than the federal government, could manage habitat protections and allow some hunting of the bears. Environmental groups filed suit to block the delisting, arguing, in part, that the government had not looked closely enough at the impact the decline of the whitebark pine would have on the bears. A federal appeals court sided with the environmentalists, finding that the government had "failed to adequately consider the impacts of global warming and mountain pine beetle infestation on the vitality of the region's whitebark pine trees." Protections for the bear were kept in place. Now, however, the Fish and Wildlife Service is again considering delisting the grizzly, a decision steeped in political controversy. Removing the bears from the list would be a signal that endangered species protections work -- that the bears are a success story, brought back from a population of just 136 in 1975 to more than 700 today. It would also be a recognition of the work that state land and wildlife managers have put into bringing the bears back from the brink. 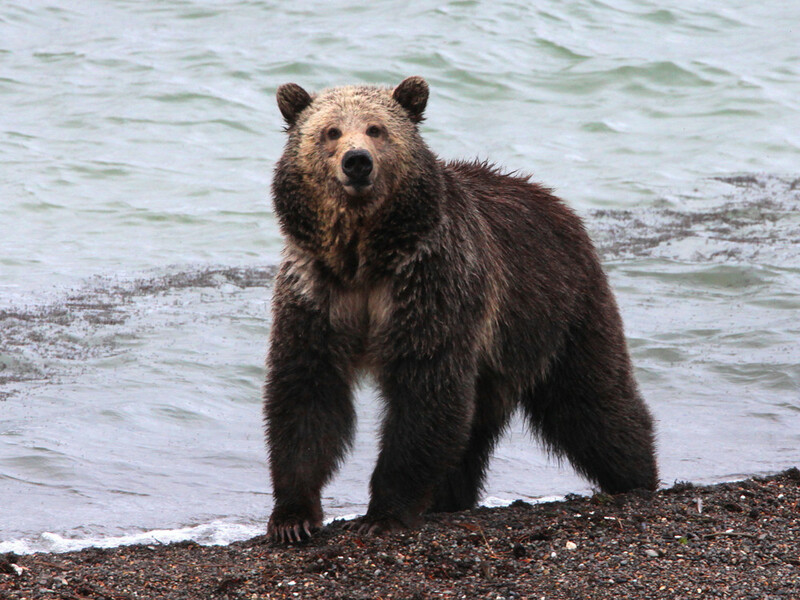 "They've invested 30-some years of effort to get to this point," said Christopher Servheen, the grizzly bear recovery coordinator for the Fish and Wildlife Service. "They would take over the management that's in place, rather than Fish and Wildlife. It's a vindication of that effort that they get to manage the bears." Indeed, the federal agency has been facing increasing pressure from states like Idaho and Wyoming, which want the federal protections removed. But conservation groups say that the celebrations for the bear are premature, and that a decision to delist them is overly optimistic, given the climatic changes that are underway. Bill Snape, senior counsel for the Center for Biological Diversity, cited a "psychological need to declare success" on the bear's recovery, as well as a fear of backlash from the states that want to see the bear taken off the list. There's also a disinclination among federal agencies, Snape said, to include climate change as a significant factor in endangered species considerations. "They're reluctant to come to grips with what climate change really means for that species," said Snape. "The grizzly bear is definitely a climate-impacted species, and the agencies are not quite yet willing to admit as much." In December, the Interagency Grizzly Bear Committee recommended taking the bears off the list, in response to a report from a panel of experts from across the federal government. The report concluded that whitebark pine decline "has had no profound negative effects on grizzly bears at the individual or population level." In its report, government scientists concluded that beetle outbreaks are "episodic," occurring every 20 to 40 years, and lasting 12 to 15 years. Citing Logan's research, the report noted that "the severity of the current outbreak is attributed to warmer winters at higher elevations" and that "the long-term future of whitebark pine remains uncertain in light of climate change." But it concluded that the current beetle outbreak is waning, and management and reforestation work should be enough to preserve the trees in the ecosystem. "We're still going to have some blowouts. There will be some areas where mountain pine beetles will still get a stronghold," said Mary Frances Mahalovich, a regional geneticist at the Forest Service who served on the scientific panel that authored the report, "but it's not going to be the watershed path of destruction we've seen in the last 10, 12 years." "There are still going to be areas where there are beetle outbreaks, and those may be the areas where Jesse and his people are working," she said, "but when you look at the entire ecosystem, the entire beetle population is waning." Federal scientists say that the delisting recommendation is evidence of the success of species protections. 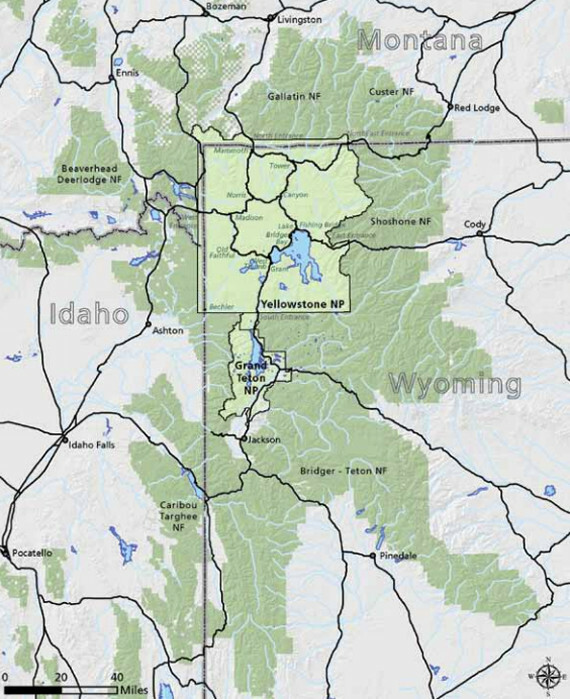 The grizzly population in the Greater Yellowstone Ecosystem is probably bigger than it's been in more than 100 years, said Servheen, and is three times bigger than it was 32 years ago. Further, the report concluded, grizzly bears are adaptable enough to substitute other foods for the pine seeds, and any decline in whitebark in recent years has not had a dramatic effect on the bears. "Bears are omnivorous. They use a wide variety of foods," said Servheen. "They're not dependent on whitebark. They eat it when it's available. When it's not available, they eat other stuff." He noted that bears in the Yellowstone region eat at least 75 different types of food on a regular basis. Meanwhile, grizzly bears in the northern part of Montana don't eat whitebark pine seeds at all because there are far fewer trees there, due to an outbreak of a fungus known as blister rust several decades ago. And yet the bear population there is growing an average of 3 percent per year, Servheen said. Logan and other researchers outside the federal government say federal agencies are too bullish when it comes to the whitebark and the bears. The beetle outbreak, they argue, persists, and climate change will only make the situation worse. "The evidence on the ground does not support that," Logan said of the committee's determination that the beetle infestation is waning. "In fact it supports just the opposite." He called the study team's report "so flawed in this aspect that it's really hard to come to grips with." With the Fish and Wildlife Service expected to follow the recommendations of the grizzly bear panel, environmentalists are gearing up for another legal fight. Earthjustice, the group that successfully challenged the government's decision to delist the bear in 2007, is preparing a similar case now. The group believes that the government has again failed to consider adequately how the overlapping issues of climate change, the beetles and the whitebark pine will affect the grizzlies. "Because the government has been so unwilling to look at climate, it's a real vulnerability for them. That's how we won the first delisting effort," said Abigail Dillen, Earthjustice's vice president for litigation on climate and energy. "This is a major trend that will affect this species. If you're ignoring it, you're ignoring the real biological threat here." The day after visiting Packsaddle Peak, Logan and Macfarlane trekked up to the top of the Beartooth Plateau, just over the border in northern Wyoming and not far from a place known as the Top of the World. Logan once considered this area a refuge for the whitebark -- too high and cold for the mountain pine beetles to target. It had been safe from the beetles in 2009. "Last time we were here, it was green forest," Macfarlane said. Now, however, about half of the whitebark trees were starting to show the early signs of infestation. A red, sap-like substance dripped from their bark like tears, the trees' attempt to expel the beetles that had burrowed inside them. "It's very discouraging," Logan said. He used a small hatchet to hack off a section of bark from one tree. Inside, the beetles had carved narrow, J-shaped burrows into the tree's tissue. He plucked a tiny, dark insect, no bigger than a black bean, from the crevice. Many of the trees still wore greenish-yellow needles that, to an untrained eye, looked healthy enough. But there were signs that the beetles were already at work inside. Logan calls these trees the "standing dead." Soon the needles would turn a brilliant red, before falling off and leaving behind a grey, bare tree like the ones on Packsaddle Peak. He predicted that in the next two years, nearly all of the trees on the Beartooth Plateau would also be dead. "I would not use the term 'refuge' standing here now," said Logan. "We're on the brink of a catastrophic collapse." CORRECTION: A previous version of this article misspelled Wally Macfarlane's last name as "McFarlane."